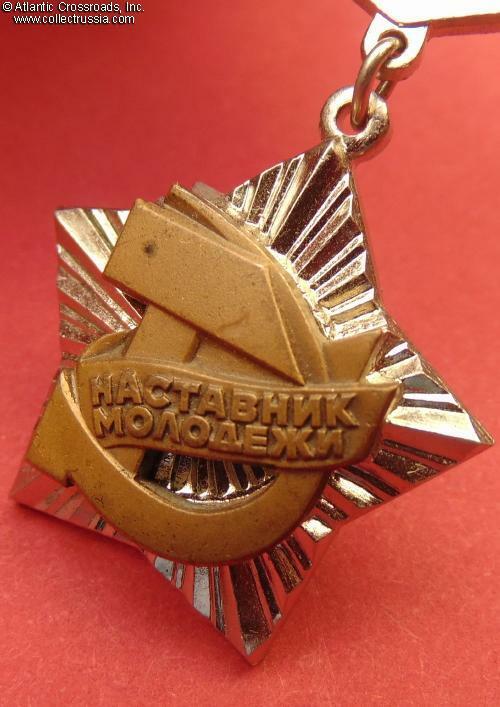 Medal (Honorary Badge) of Honored Mentor of Youth, Type 3, 1978 - 1991 issue. 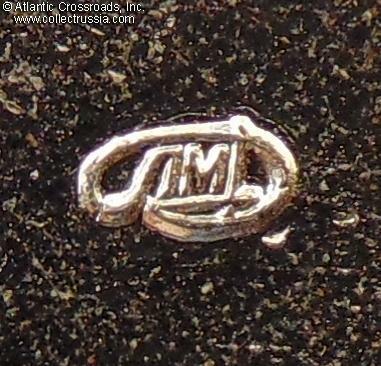 In silver-plated brass. Medallion is of riveted two-piece construction, measures 31.8 mm in height (incl. eyelet), 30.3 mm in width. 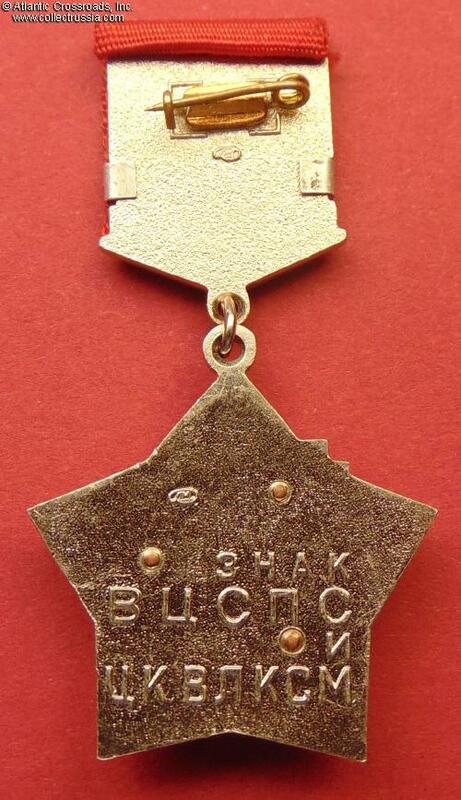 Inscribed in raised letters on the reverse "Badge of the VTsSPS (All-Union Central Committee of Trade Unions) and TsK (Central Committee) of VLKSM". 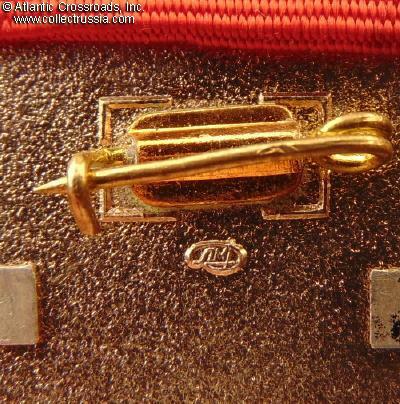 Both the medallion and suspension have raised logo of the Leningrad Mint on the reverse. Excellent condition. The badge was originally established in 1973 and redesigned in 1975 and 1978. 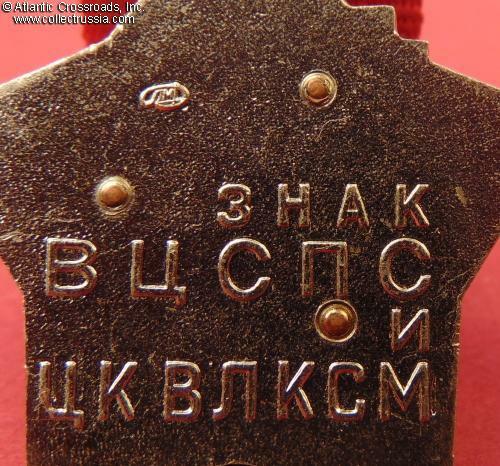 In its first redesign, the inscription "VLKSM" on the obverse of the suspension was removed, and the raised inscription was added to the reverse of the medallion. 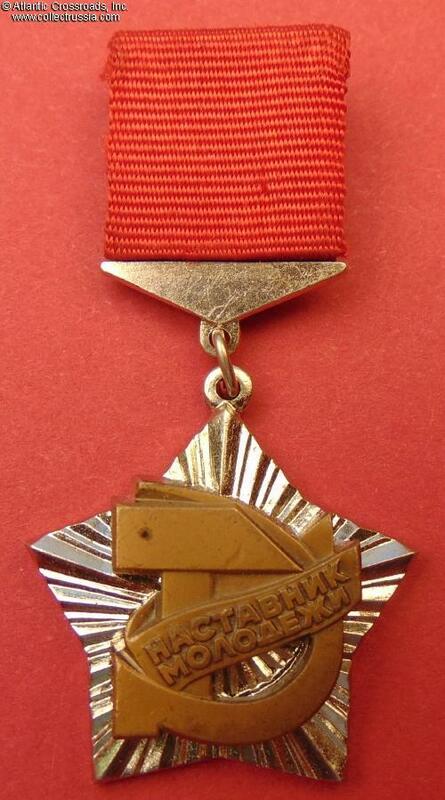 During its first couple of years in existence, this award was exclusively a Komsomol decoration, and the 1978 redesign apparently reflected the change in the award procedure.